Indulge in relaxation with the luxurious Montgomery Aluminium Sun Lounger in natural Taupe. Our Montgomery Collection is state of the art, contemporary with sleek angled lines and hard edges contrasting and complemented by a soft, sumptuous cushion on top. Available in 3 colour options, these are loungers that have you wanting to spend hours in the great outdoors. 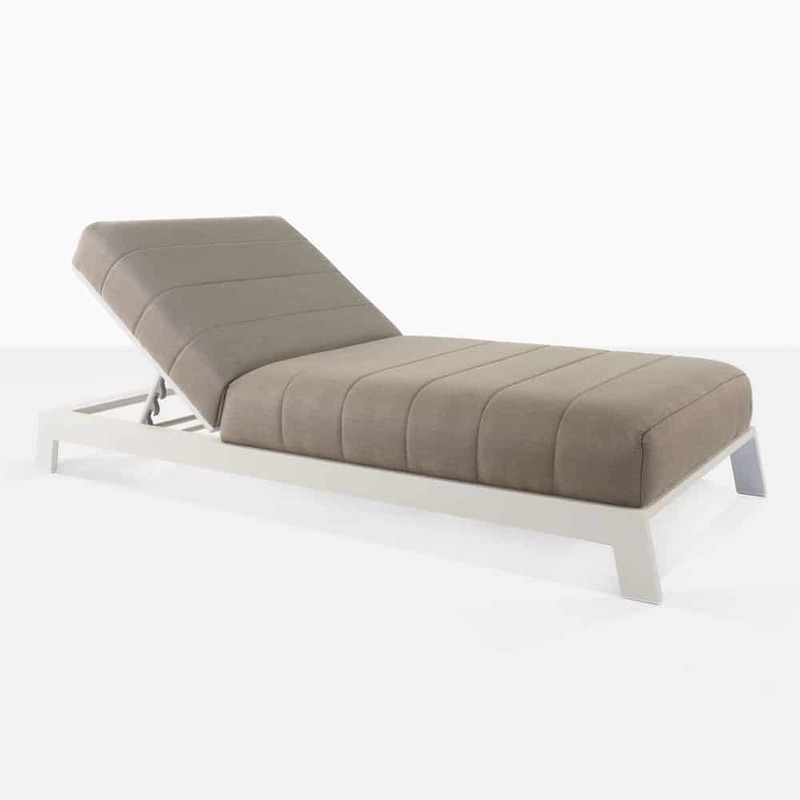 The Montgomery Sun Lounger is ample, cushy and opulent. 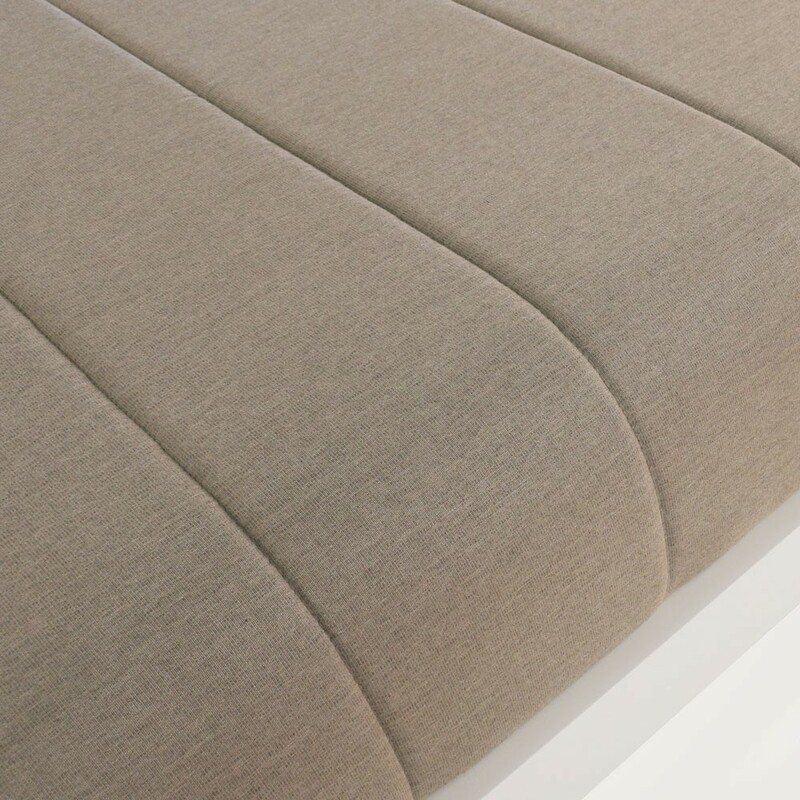 With a stunning white powder coated frame, low to the ground and wide enough for a stunning thick king single Sunbrella® mattress in elegant taupe. Pair up two Montgomery Sunbeds with a Montgomery Side Table in matching white for a chic edge to your designated comfort area! Set in the backyard with your Cantilever Umbrella overhead for the ultimate style stamp combined with content relaxation. Dressing a large pool area? Look no further than the modern and sophisticated Montgomery Outdoor Aluminium Sun Lounger. Line them up along your pool side with matching Taupe umbrellas overhead and enjoy as your guests get the most out of a stylish, relaxing and well-designed haven that you’ve created! 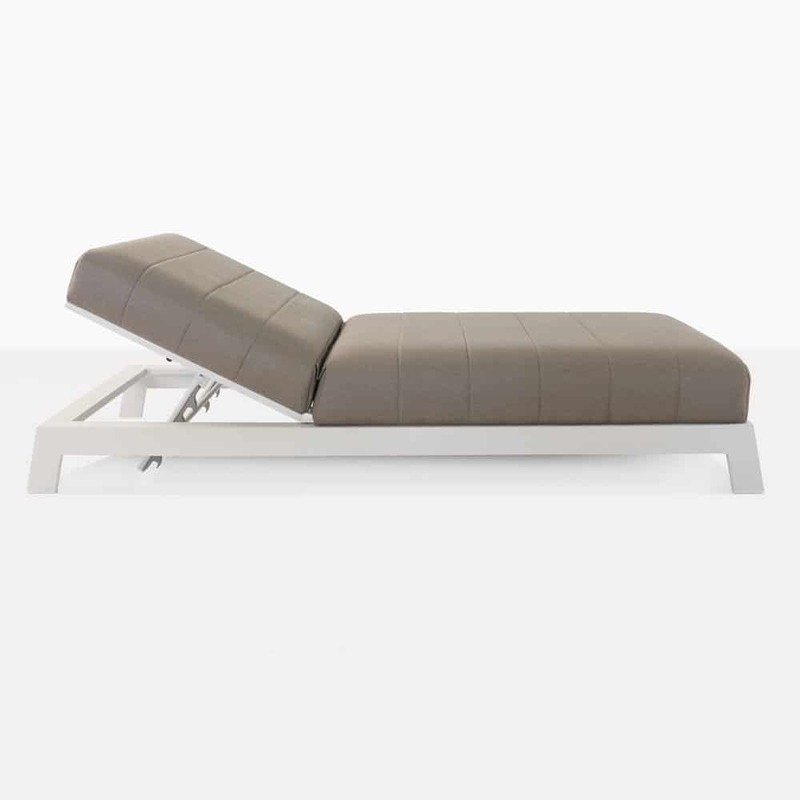 The Montgomery Sun Lounger is made from high performance materials. Beginning with a of powder coated aluminium frame, which disables deterioration and is easy to maintain. While the Sunbrella® cushion ensures that you have a UV treated material that won’t discolour or morph in the sun, and continues to look stunning year after year. The Montgomery Aluminium Pool Lounger is style and quality in epic proportions and amazing material transports each guest into tranquility and rest. Design Warehouse is committed to bringing you a range of high quality, fantastically designed outdoor furniture. We bring the best of the best from our warehouse to your home. All our furniture is quality checked and built with love. Call us today to order your stunning garden, patio and veranda furniture.